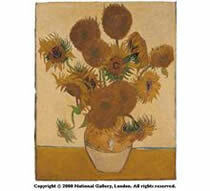 The National Gallery is the most popular gallery in London with one the greatest collections in the world. It contains around 2,300 paintings and portraits from the Renaissance period to the Impressionists. The beginnings of the gallery were not as grand as many other notable galleries in other countries. The early collection was originally bought by the government in 1824 from John Julius Angerstein's collection when he died. The gallery was then donated pieces from private collections. The gallery was originally housed at Angerstein's former house, no.100 Pall Mall. It was then moved to its current building in 1838.